Free Flea Inspection. Same Day Service. 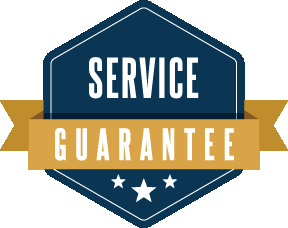 Call us today before noon and we can be at your home to provide a free, zero obligation inspection and estimate. Need flea control service? We can do that too, today! Fox Pest Control is the #1 McAllen & Surrounding Area pest control & extermination company. We have over 22 years experience, and have helped over 40,000 homeowners and businesses with flea extermination and other pest control. Read on to learn why we are the top choice for pest control in McAllen & Surrounding Area, then pick up the phone and call us for same day help with your pest problems. 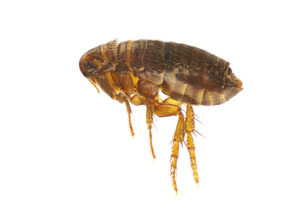 Appearance - Fleas have small, flat, reddish brown bodies. They are small, about ⅛ of an inch long, and move very quickly. Fleas are often confused with bed bugs and lice. Behavior - Fleas are parasitic, and feed on blood. You will most likely find yourself or your family scratching and getting bit before you see a flea. Unlike bed bug bites which welt like mosquito bites, flea bites come in smaller clusters of bumps that can resemble a patch of acne. Fleas like to live on animals with hair or fur they can hide in, such as dogs, cats, rabbits, and rodents. They will deposit eggs in carpets, bedding, even the cracks of your floor. Flea feces may be seen, which looks similar to coarse ground pepper. Flea problems can come from tall grass being near your property where you, your family and pets frequent. You could have a friend or family member who does not know they have a flea infestation, has come over and now has given you the flea problem as well. Your animals can pick fleas up just by going on a walk. Not only are flea bites annoying, but scratching them can lead to infection. Children, adults, and animals can also be allergic to flea bites. Leaving a flea problem unattended will cause the flea population to increase at an alarming rate. Female fleas can lay up to 2,000 eggs each year, and will happily do so in your carpet. 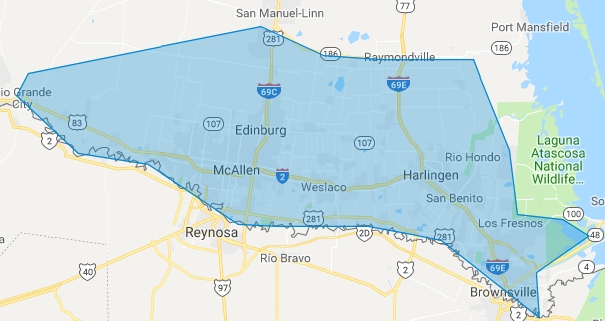 McAllen & Surrounding Area flea infestations require both the adult fleas and well as flea eggs to be killed in a series of treatments to completely stop the flea life cycle. First we identify and target the source of your flea problem with our custom treatment. We exterminate fleas inThree Steps! 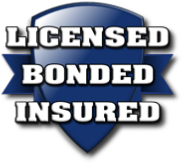 We conduct a free, zero obligation home inspection. We will identify the source of your flea problem. We put together a plan that best fits your home in order to eliminate and protect against fleas. We exterminate your flea problem. Fox Pest Control guarantees its treatment plan for a full year. If for whatever reason you have any new flea problems or other covered pests, we will treat immediately and at no cost to you. Immediately means you are our priority.